Small Businesses of all shapes and sizes often overlook the importance of their standard terms and conditions until the worst happens, a lawsuit – and by then it’s too late, reports Rocklin, CA business lawyer, Terry L. Gilbeau. what business owners need to know. Don’t wait until it’s too late, says Attorney Gilbeau. Despite handling a variety of breach of contract matters for his clients, Attorney Gilbeau prefers to work with his clients proactively, and to set in place the right documentation that actually avoids litigation. Standard Terms and Conditions have legal ramifications and are often overlooked by companies until a dispute arises – often times gaping legal exposures are not uncovered until a problem presents itself. Don’t wait until this happens, and before even getting a lawyer involved – make it a priority to review all of your customer-facing documents, including what you believe is the contract memorializing how your goods or services will be provided, when and by whom, and the terms. These are often called the Terms and Conditions. In general, “Terms and conditions define how a contract is implemented for a customer organization. They define what is being sold under the contract; the price of the items being sold; how the items are shipped [or services are to be provided for and when]; how orders are paid for; how item returns are handled,” etc . . . 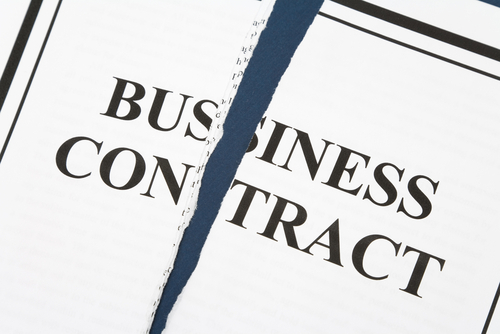 There are generally two reasons for contract disputes: 1. failure to address the most common scenarios, and 2. ambiguity in the terms. A little effort can go a long way to minimizing time consuming disputes with customers. 1. What are the most important things I need to document in my terms and conditions? Once you identify the terms, you must include make sure they are worded clearly and are prominently displayed. Here are some areas that you must cover. Performance – who is going to do what, when, and when payment must be made and how. And don’t forget to clearly articulate what happens if payment isn’t made. 2. On what provision(s) do I get the most customer complaints or questions? Over the course of time, you may find yourself repeatedly referring your customers to certain parts of your agreement to clarify misunderstandings or confusion. If this is the case, think about how to best articulate this provision and where in the contract should it go. Ambiguity is bad. Remember this rule – if you remember nothing else from this blog. If it’s unclear and only you understand it, do not expect that a court will enforce it. You want your agreement to clearly articulate what is important to you. Having these points established will not only provide protection from potential lawsuits and claims against you, but more importantly they will ensure that you and your customer are on the same page regarding key contractual terms.